What Makes an IoT Device Tick? Its connections are key to delivering information, enabling prototypes. I first became interested in an Internet of Things (IoT) device when I realized it could help me grow my plants. I have an 8-by-12-foot greenhouse at the end of my driveway that is packed with orchids, my late grandmother’s Christmas cactus and my partner Kerry’s half-dead Wandering Jew plants that I tried to kill over the summer. Because the greenhouse is small, the temperature and humidity change rapidly inside based on the ambient temperature and sunlight. After installing a misting system for cooling a few years ago, I wanted a way to monitor the temperature in real time. I found a company called La Crosse Technology that offered a Wi-Fi temperature and humidity sensor, so I ordered one. At less than $100, it reads the temperature and humidity every five minutes, sends the data to a website and emails you when the temperature goes out of range. After some frustration with the initial setup, I had the sensor installed in my greenhouse and communicating to a wireless receiver plugged into my router. Once I got it working, I was obsessed with the data. I could log on during a hot day and monitor the temperature and humidity to ensure the misting system was working. One day I could see that the temperatures were going out of range and called my neighbor to make some quick changes, thus saving some plant lives. Eventually I ended up ruining the sensor as I accidentally watered it and fried the circuit board. I recently replaced it, and my greenhouse is back online. The service has since improved; now I can monitor the greenhouse from an app on my phone. In Part 1 of this series, I talked about the history of the IoT and some different devices. In this final installment, I will talk about the ingredients of an IoT device, the different communication types, and how to prototype an IoT device. Three parts make up the core of an IoT product. The first piece is the device that performs a function and sends or receives data. The second is a network connection such as Wi-Fi, Bluetooth or cellular; the last piece is a backend database or website to manage the data to and from the device. We can use the wireless temperature and humidity sensor from my greenhouse as an example. The wireless temperature sensor (Part 1) has a module that monitors the temperature of an environment. Inside the sensor is a wireless communication chip that sends temperature data to a receiver connected to a router (Part 2). The router is connected to the internet, where the data travel and are collected by a database (Part 3). The database can be accessed by the user via a website or an app on a smartphone. The key ingredient to making the IoT work is the cloud. Although relegated to a buzzword in marketing campaigns, online data storage (and management of that data) is the key to making connected devices work. There has to be some mechanism to get data to the databases, and four main types of connections are used to deliver the information. Wired: IoT devices do not need to be wireless. It is possible to have a connected device that uses a wired connection for communication. This can be done through a CAT 5- or CAT 6-style cable that looks like an overgrown phone jack. Wired connections have some advantages as they can flow data much faster than wireless connections and are less likely to have loss-of-connection issues. Wi-Fi: This is one of the most popular ways an IoT device communicates with the internet. It uses a 2.4 or 5 gigahertz radio signal to transmit data between the device and the wireless router. It allows for devices to be placed in areas where a wired connection would not be practical and provides a reliable connection. The downside is that it uses a large amount of power, and the range is only about 200 feet. Cellular: Another wireless way to connect to the internet, cellular connections rely on the network of high-power cellular towers and protocols that define the data transmission. The most common cellular protocol for IoT devices is GSM (Global System for Mobile Communications). Cellular data allow for connectivity to the internet from much further distances than Wi-Fi, but also use a lot of power. Bluetooth: A popular short-distance, peer-to-peer wireless communication protocol, Bluetooth cannot connect to the internet directly. With a range of about 30 feet, it is primarily used to transmit data between devices while using much less power than Wi-Fi or cellular. Bluetooth connections from an IoT device can be used to get data from the device and transmit it to a smartphone. The smartphone then uses Wi-Fi or cellular data connections to push the data up to the web. Many people have great ideas for connected devices, but it can be a challenge to prototype them. They often have both a mechanical and an electrical component, which makes it doubly difficult. Fortunately, there are good prototyping techniques to get your idea connected to the web that do not require an engineering degree. The heart of a connected device is a microcontroller, a tiny computer that can be programmed to control the device. One of the most popular and easy-to-use microcontrollers for prototyping is an Arduino, an open-source hardware platform that can read sensors and control servos and actuators. It can also be expanded to add Wi-Fi or Bluetooth communication, with tons of resources and sample code on the web to help. More powerful microcontrollers such as the Raspberry Pi can be deployed for more complicated projects. 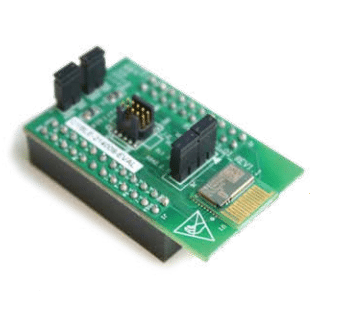 The Enventys Partners team has had success using the Cypress Semiconductor Bluetooth chips and development boards, but they are likely a bit too complicated for a novice. The other side of the IoT equation is the back-end data management, or the connection to the cloud. This is the link between the IoT device and the smartphone or computer being used to monitor it. A number of services can help handle the data management to deploy an IoT device. One of the most popular is Particle.io, which is free for prototypes that have 25 or fewer devices and 250,000 or fewer events to track per month, with additional plans that increase in price depending on the usage. Electronics supply company Adafruit has released a beta version of its Adafruit IO platform to support IoT devices, which is also helpful for prototypers. Amazon also provides an IoT backend called AWS (Amazon Web Services) that can host IoT databases and handle reporting. If the technology gap is too large and you still want to bring an IoT device to market, there are specialists that can help you bring your idea to reality. Freelance websites such as Gigster can help you find engineers and software developers that can help build out the sensors and communication to get a prototype together. Holistic design firms such as Enventys Partners provide a full suite of design, development and marketing services, and experience with IoT partners that can help bring the product to life. Well done. Few people in the know take the time to explain technology to the novice as you have done. Thank you for sharing.